The Edge of Anarchy SoundPack gives you the complete audio solution when playing the first chapter of Pathfinder's Curse of the Crimson Throne Adventure Path. All the preparation is done for you and every sound you'll need is right at your fingertips. The King has died, and the city of Korvosa is in chaos! Riots, banditry, monsters, and mayhem are turning the normally safe streets of the city into a war zone. 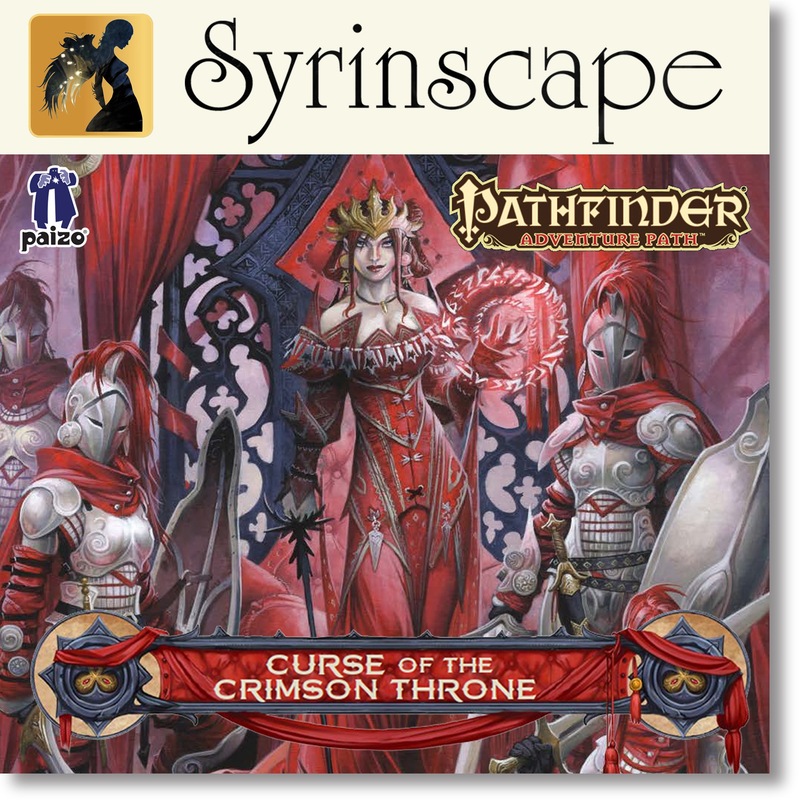 Desperate to regain control of her city, Queen Ileosa seeks heroes to aid her in reclaiming control before the largest city in all Varisia consumes itself from within, the Curse of the Crimson Throne Adventure Path begins with a bang! 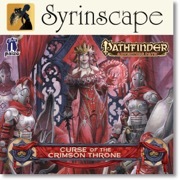 Sign in to start a discussion about Syrinscape—Curse of the Crimson Throne #1: Edge of Anarchy SoundPack!